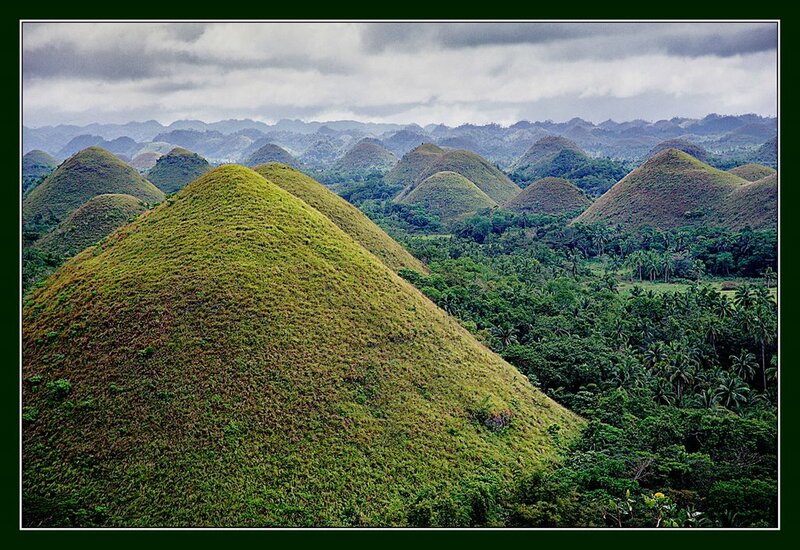 These mysterious conical mounds are known as the Chocolate Hills. There are approximately 1,268 individual hills, their heights ranging from 100 to 160 feet, though the highest is almost 400 feet high. 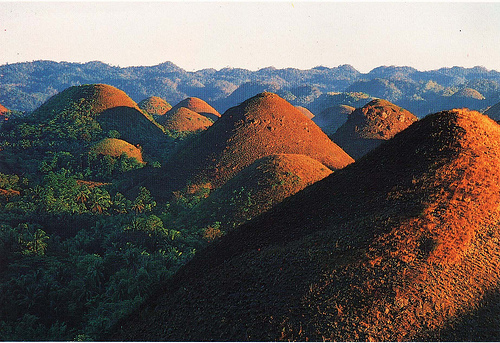 The hills, which are almost all symmetrical, consist of grass-covered limestone and turn brown during the dry season. 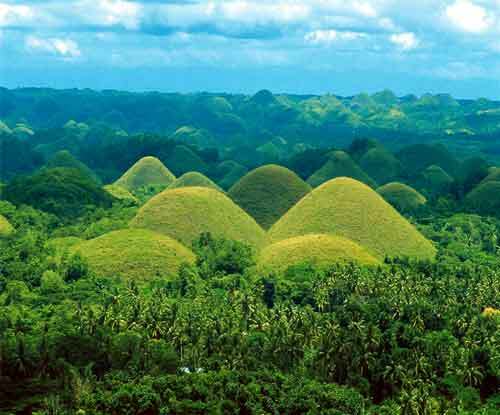 Despite the abundance of hills, it is unclear how they were formed. There are multiple geological explanations ranging from oceanic volcano activity to limestone weathering. A recent theory is that an ancient volcano self-destructed and chunks of it were dispersed over the region. This entry was posted in Filippina. Bookmark the permalink.